We love our volunteers! Every volunteer will receive a goodie bag and volunteer shirt at packet pickup. Plus, a commemorative coin after you've completed your shift. 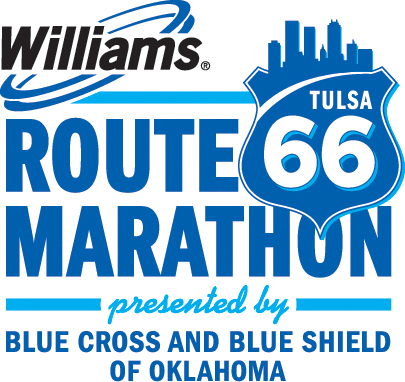 All volunteers are also invited to attend the Williams Route 66 Marathon Volunteer Thank You Party. Packet Pickup is at the Route 66 Marathon Health, Fitness, and Sustainability Expo at The Tulsa Convention Center. Friday November 16, 2018 – 11:00 a.m. to 6:00 p.m.
Saturday November 17, 2018 – 9:30 a.m. to 6:00 p.m. The Williams Route 66 Marathon Health, Fitness and Sustainability Expo hosts more than 100 exhibitors featuring running gear and shoes, as well as sports and fitness related items. The Expo is the home of Packet Pick-Up for all participants and volunteers. Held at the Tulsa Convention Center, the two-day Expo is free and open to the public.